A small band of heroes, driven to desperate measures, leads the fight against overwhelming odds.Two unlikely protagonists emerge. One is a dragon overlord who will not easily relinquish her rule. The other is an irrepressible kender who has been on a strange and remarkable journey that will end in startling and unforeseen fashion. 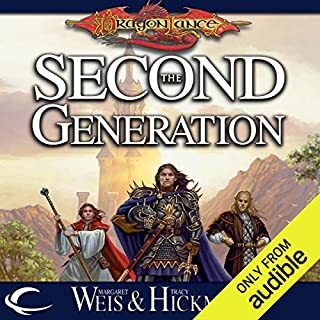 ©2003 Wizards of the Coast LLC (P)2013 Audible, Inc. This is book...12? of the main story. I love these books but the constant mispronunciations were incredibly jarring. That being said Herrington is not a bad narrator. Great story, but I suggest reading it. Mixed review I know, but that’s how I felt about it. Mixed. this book tries too hard to make everything fit. the new characters are so blah and the personslities of the old characters have all changed drastically . it feels like the first half of book one and the last half of book 3 were written first then everything else is just filler. 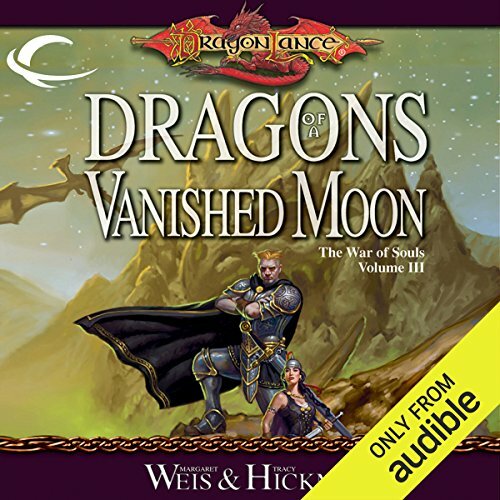 What disappointed you about Dragons of a Vanished Moon? The reading of the text was abysmal. The character of Mina and her (spoiler) misguided devotion was interesting. 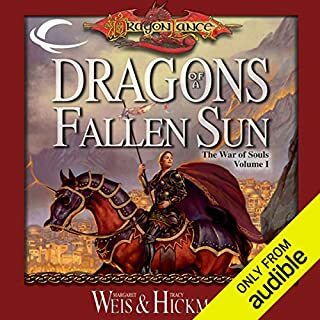 The constant overt reminder that (spoiler) the gods had left Krynn was a bit boring. What didn’t you like about Marieve Herington’s performance? The reading of the text was abysmal. Constant incorrect pronunciations and simply misread words... examples: liches should be pronounced lih-Chez, but she read it as lik-Es. Another instance the word was immortality, and the narrator read it as immorality, in spite of the context. Finally, the name Majere is pronounced mah-Zheer, but the narrator constantly reads it as ma-Jeer-ey. It's pretty bad. See my review of Book 1. I would like to get my money back on this series. If you could sum up Dragons of a Vanished Moon in three words, what would they be? What other book might you compare Dragons of a Vanished Moon to and why? Chaos Gate of the Deathgate cycle (5th book). This book doesn't feel like the end of the story by any means. It leaves you feeling like events continue, which they do. They continue in the books of other authors which, sadly, don't live up to the legacy of Wise and Hickman. 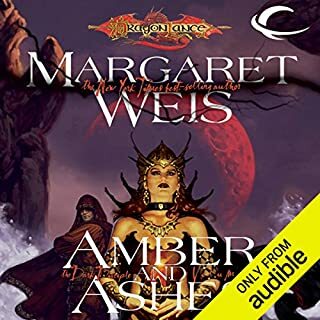 Who would you have cast as narrator instead of Marieve Herington? The finale battle between men and a god. Marieve Herington isn't a bad Narrator by any means, but she clearly isn't familiar with some of the terminology in the DnD lexicon. Which at times is jarring. Additionally, her portrayal of elves left me feeling a bit ruffled. I've never thought of elves as sounding so much like Santa's little helpers in any of the DnD worlds. Hearing the men as high-pitched, squeaking voiced, waifs bugged me. Particularly when the female elves have lower more stately voices. All in all, I think these books should be given to different voice actors per part. I can't think of a better Mina, Alana, Odila or Laurana, but I'd have loved to hear all of the male parts done a bit more justice, particularly Gilithis and Alana's second in command. 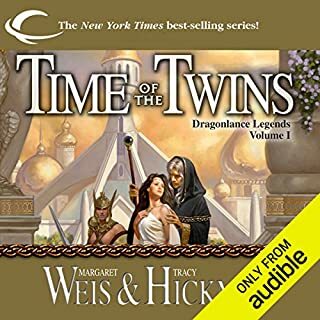 The story and all its threads were brought together in a true Dragonlance manner. Loved this series, maybe even more than the first trilogy. love the dragon Lance universe. 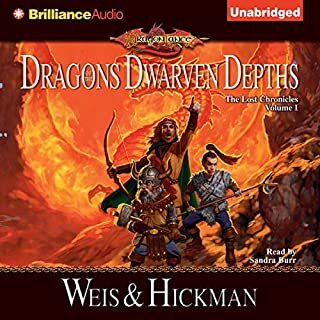 love the dragonlance universe. Didn't and how I thought it would but that's what makes a book good! As per usual with this series, the writing, in my opinion, is wonderful with fantastic characters that you love or love to hate! Also per usual the narrator was really good with my one tiny critique being her limited range of character voices. But I mean really, that's not a huge deal and she is still very pleasant to listen to and is engaging enough to keep me interested when working long nights or driving long distance! Narrator got better with each characters voices from book to book. I enjoyed the characters and the world created by the authors. Great narration with a good story! The end felt a little rushed but otherwise fit the series nicely! 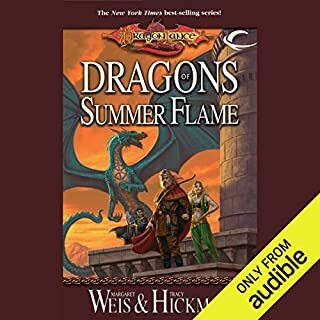 solid 3rd volume in the war of souls trilogy long time dragonlance fans will not be disappointed. Weis & Hickman still got it and make permanent changes to Krynn in this series all of which i thoroughly enjoyed.